Family and friends say they see a very different Amanda Knox than the one who was first charged with the murder her roommate back in 2007. When her trial began, Knox was often seen smiling, and appeared almost carefree. Her critics said she was insensitive and arrogant; supporters suggested she was naive. Either way, the Amanda Knox we see today appears far more serious. "48 Hours Mystery" correspondent Peter Van Sant reports, her father, Curt Knox, says she's been forced to mature very quickly. Amanda Knox: "I am innocent"
Weeks before her roommate was brutally murdered in November 2007, 20-year-old Amanda Knox, the honor student from Seattle, was having the time of her life. Edda Mellas, Amanda Knox's mother, told "48 Hours Mystery" back in 2008, "Classes were going great. She felt like she was learning the language, you know, picking up things really quickly." Prior to arriving in Perugia for her semester abroad, Knox visited relatives in Germany, where a now-infamous photo where she posed with a machine gun was taken. Italian and British tabloids would later say it showed her delight in violence. Once in Perugia, home of the University for Foreigners, Knox appeared relaxed and confident - the all-American girl. Then came November 2, 2007. Mellas said her daughter called her and told her she couldn't find Meredith Kercher and her door was locked. Gone were the smiles. Days later, after her interrogation and arrest, her face, Van Sant notes, was obscured. Early in her trial, Van Sant reports, Knox was still a fresh-faced kid in a Beatles T-shirt who had no idea what was happening. Her beauty was actually used against her. She was described as "The Dark Angel of Seattle." Throughout that first trial, Knox appeared healthy. 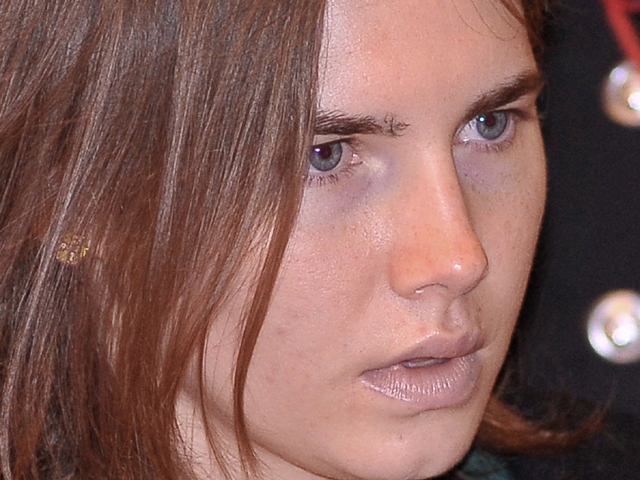 Then, in December 2009, she was convicted of Kercher's murder. During her long appeal trial, which began in November 2010, the physical toll of nearly four years behind bars has become obvious. Andrew Seliber, a longtime friend of Knox's told Van Sant, "I know she is a very courageous person, but I can still say that she's scared of what could happen here." Curt Knox has said of his daughter, "She has become frailer, you know, she's become skinnier, she's a little paler." Van Sant tells "The Early Show" a verdict is expected sometime around 2 p.m. ET. He adds, "She was terrified, gaunt (in court). Her hair seemed thin and she has lost weight. The enormous pressure of the most important speech of her life really weighed on her and it was very powerful and very sad."